I investigate the dynamic between emerging macroeconomic phenonemona and entrepreneurship at the micro level. My work emphasizes the role of expectations and agent knowledge which both promote high level economic coordination. Caton, James. "Creativity in a Theory of Entrepreneurship"
Caton, James. "An Evolutionary Theory of Knowledge: Knowledge’s Structure, Generation, Transmission and Significance to Social Theory." Caton, James. "Language Games, Entrepreneurship, and Institutions." Caton, James. "The Evolution of Hayek's Thought on Gold and Monetary Standards. 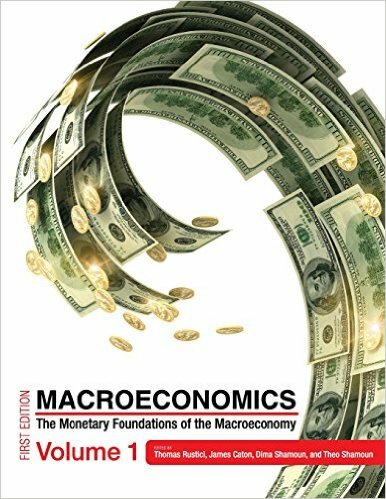 Sound Money Project Working Paper 2018-06"
The Monetary Foundations of the Macroeconomy. Ed., Rustici, Caton, Shamoun, and Shamoun. San Diego, CA: Cognella Academic Publishing, 2015. Macroeconomics: Past and Present. Ed., Rustici, Caton, Shamoun, and Shamoun. San Diego, CA: Cognella Academic Publishing, 2015. Caton, James. “Money in American History” in The American Middle Class: An Economic Encyclopedia of Progress and Poverty, ed., Robert Rycraft (Forthcoming). Caton, James. Book Review: The Social Life of Money” EH.net. Caton, James. “Book Review: The Midas Curse” The Review of Austrian Economics (2016). Caton, James. “Book Review: Hayek vs. Keynes: A Battle of Ideas” The Independent Review (2018).